A gas turbine or steam turbine can be used in power plant to generate the electricity. Depending upon the requirement, you can select the turbine. Both types of turbines have their own advantages and disadvantages also. When you have proper information on turbines, you can select the best one. The basic working principle of the gas turbine is nearly same as the working principle of an internal combustion engine. 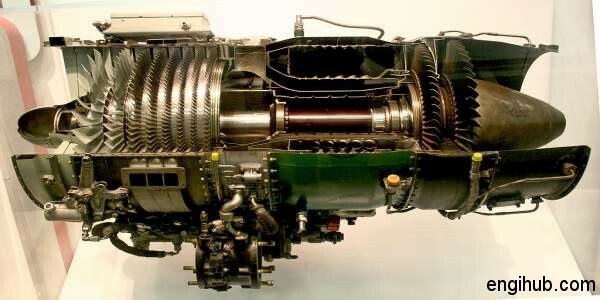 Nowadays engineering concerned prefers gas turbine over steam turbine because of its advantages. So, here in this post, I will share the advantages of the gas turbine over the steam turbine. In a steam turbine, the heat energy contained in the steam is first employed to set the steam itself in motion and this, in turn, is made to do work on blades mounted on a shaft or drum, which is free to rotate. However, the gas turbines have certain advantages over the steam turbine, which is as below. 01) The gas turbine has been built to operate at the inlet temperature of 800-degree centigrade and even more, while the steam turbine and boiler have been built for temperatures up to about 580-degree centigrade. The efficiency of the gas turbines is much higher than that of steam turbine due to the high inlet temperature when other things being equal in both turbines. 02) In steam turbine plant, water is used for cooling purpose; hence there are chances of freezing in winter nights. There is no likelihood of freezing in gas turbines plants. 03) The gas turbine does not require any boiler as like in the steam turbine, hence the weight and space of gas turbines are less than those of steam turbine. For the same output, the gas turbines are more compact than steam turbines. The capital cost of a gas turbine is much lower than a steam turbine. 04) The gas turbine plant is simple in design and construction. It has few reciprocating parts and is lighter in weight. 05) The gas turbine is quite useful in the regions where due to scarcity it is not possible to supply water in abundance for raising steam.